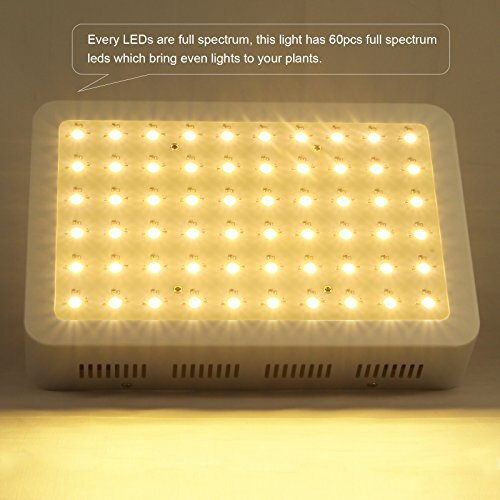 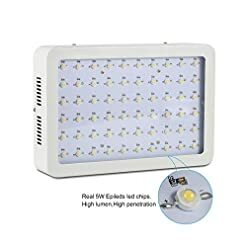 Daylight Full spectrum: Every led is full spectrum included 420nm-780nm which effectively promote the synthesis of suga for your plants than the traditional red and blue growing lights. 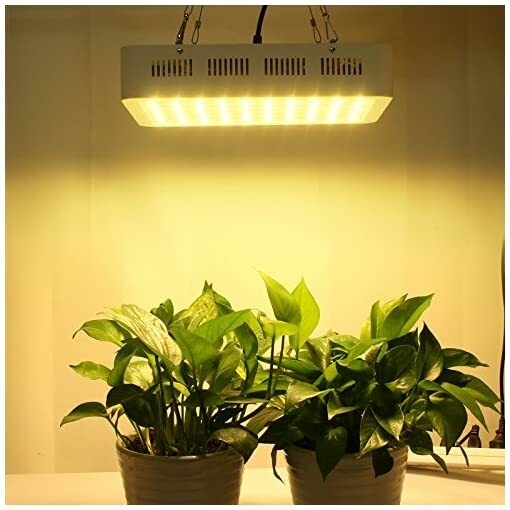 This plant lights has a 3500K color temperature which is ideal for all phrase of growing, both vegetation and flowering. 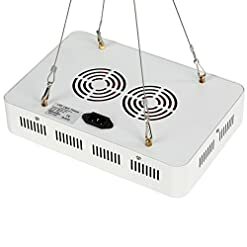 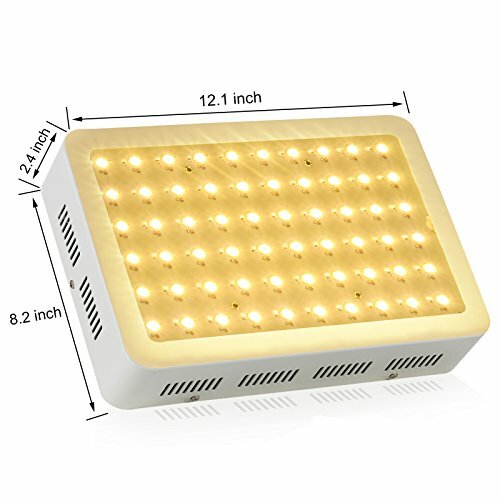 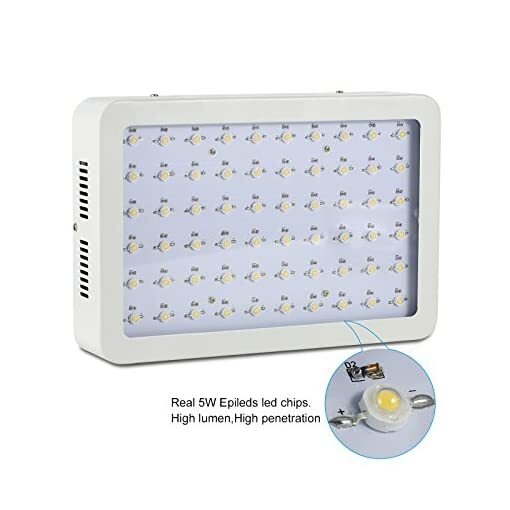 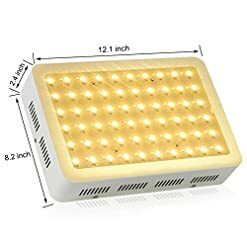 Daisy-chain connection function: two or more 600W LED grow lights can be connected together with the standard included power cord. 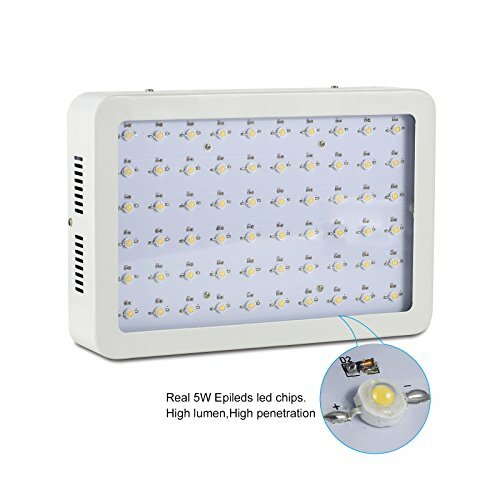 This makes less power cords and expands the extent of the light coverage. 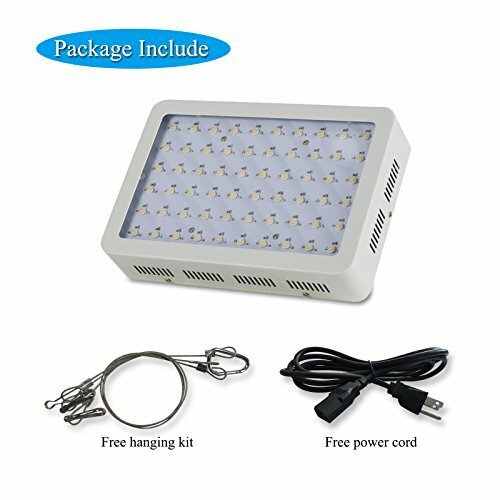 Saving energy, money & time. 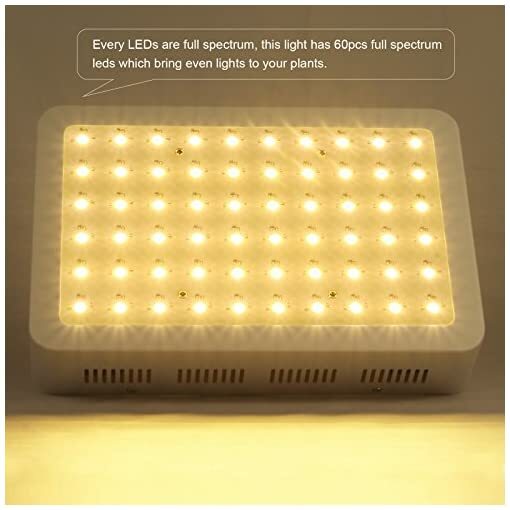 It will be the best solution for your grow lights indoor. 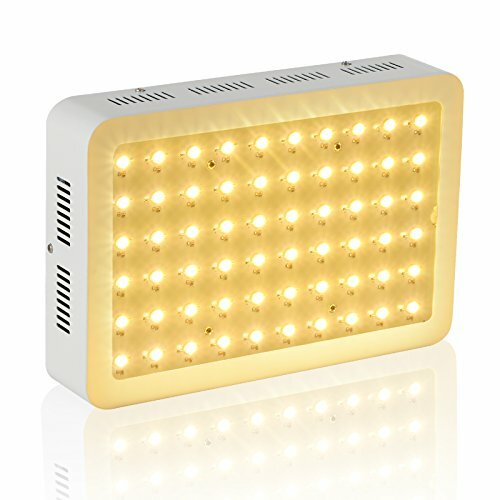 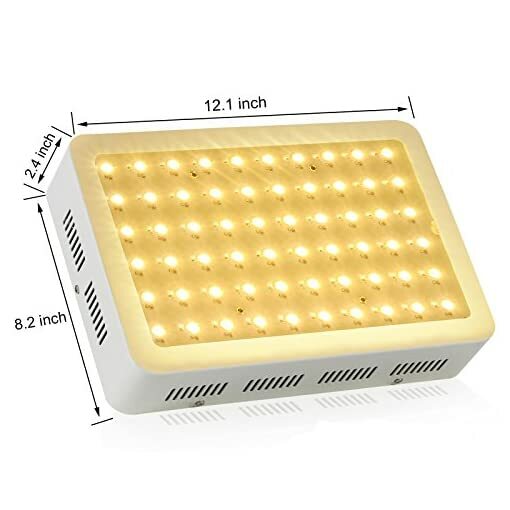 3.Timer Control Function: This newly updated 2nd generation 600W LED grow light adopts a timer power cord, you can set your own cycle working time for this plant light, which makes it more convenient to use. 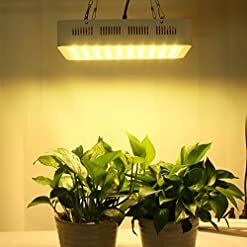 LENS: Mixed of 90 and 120 degree lenses ensure the strong light penetration and also maximize the light coverage for your plants. 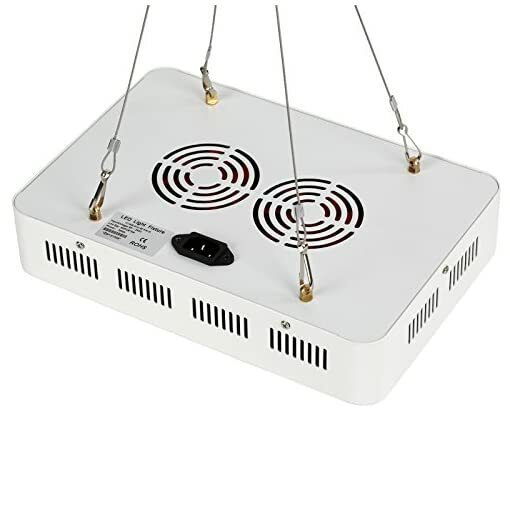 Excellent Heat Disspation: Uses 2 fans for cooling, this light has the lowest working temperature, longer lifespan and less light loss compare to similar products.